At Now Living Realty we provide a comprehensive range of quality real estate services, catering to all property needs – for sellers, buyers, investors, developers or builders. We listen to our clients and treat them with respect and care. We are proud to say we have a team of property experts who always strive to provide the best level of service and advice. We are flexible, versatile and always have our customers needs top of mind. Our team believes that everyone is just as important as everyone else, and all have the same right to a great experience with property. Now Living Realty has experience in selling all types of property – established, brand new completed, off the plan, modular, display homes, apartments, townhouses shared and full ownership. We deal with all things property and have a broad range of skills. Being a part of BGC, WA’s largest builder, allows us to be part of an end-to-end vertical integration service where we develop, finance, build, market and sell. This is done through our key partnerships with Now Living, The Loan Company and Simply Settlements. We listen and take the time to understand our clients’ needs and strongly believe in quality results. Make a good choice with property – Contact Us today. 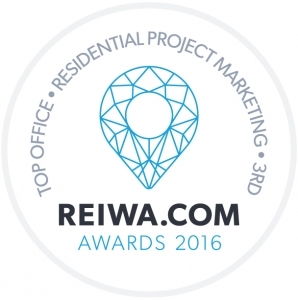 We don’t always like to make it about us, but we are especially proud of our team’s performance at the 2016 REIWA Awards.